New Delhi, Feb 7: Prime Minister Narendra Modi on Thursday met visiting Bangladesh Foreign Affairs Minister A.K. 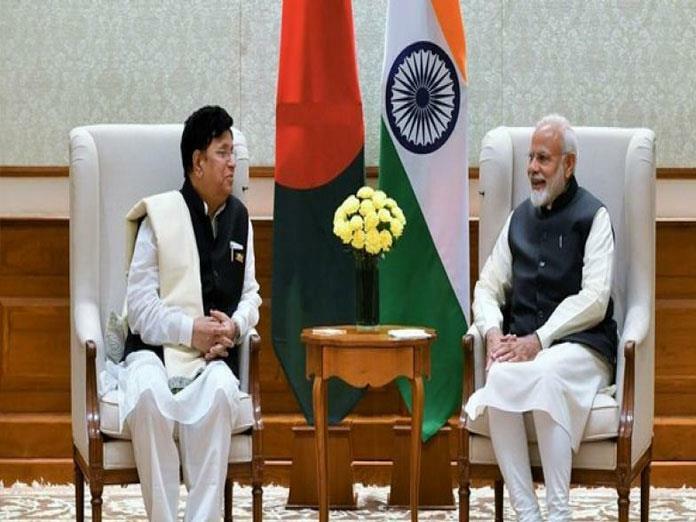 Abdul Momen and said that relations between the two neighbouring countries have been on an upward trajectory and New Delhi will work to build on this momentum. Modi congratulated Momen on his appointment as Foreign Minister and appreciated his gesture of selecting India as the destination for his first international visit. According to an official statement, Momen briefed Modi on recent developments in the bilateral relationship. "The Prime Minister said that India-Bangladesh relations have been on an upward trajectory in the last few years. He reaffirmed India's commitment to work with Bangladesh to build on this momentum during the new term in office of Prime Minister Sheikh Hasina," it said. Momen will co-chair the Fifth Joint Consultative Committee meeting with External Affairs Minister Sushma Swaraj on Friday. It is the first high-level visit from Bangladesh since Prime Minister Sheikh Hasina's victory in the parliamentary elections last December.